This Friday, luxury Las Vegas bridal salon Couture Bride will donate scores of designer wedding dresses to military brides to honor their service to our country and community. For this Veteran’s Day event, Couture Bride has partnered with nonprofit organization Brides Across America, which hopes to provide military brides with new, donated dresses sans the financial burden of a gown purchase. Brides Across America partners with bridal salons nationwide to support U.S. troops. Every year since 2007, Brides Across America seeks to encourage bridal salons and stores to give back to their local military communities. The best way for bridal salon owners to show their support is to host a “Wedding Gown Giveaway.” Through this event, bridal salons nationwide give thousands of brides-to-be free designer gowns. On November 11, 2011, Couture Bride will join these ranks once again to honor military brides with a special experience, high-quality gowns and the utmost gratitude for their service. As a luxury salon, Couture Bride hosts a vast selection of wedding gowns from the bridal industry’s top designers, including Vera Wang, Simone Carvalli, Alita Graham, Monique Lhuillier and Augusta Jones. For Veteran’s Day, military brides will have the opportunity to choose from a select number of Couture Bride’s gowns. These designer dresses will include a variety of styles, silhouettes and fabrics to ensure brides receive extensive opportunities to discover their ideal dresses. Couture Bride's team is excited to support military brides as they achieve their wedding dress dreams. To qualify for this gown giveaway, brides or their fiancés must be on active duty in the military, either currently deployed or deployed within the past five years to Afghanistan, Iraq, Bahrain, Libya or Japan. Brides must present their military identification and deployment papers to participate. While brides are served on a first-come, first-serve basis, each military bride can expect an exhilarating experience as she searches for and finds her ideal wedding gown. “We are happy to help as many brides as we can,” Heaney said in anticipation of Friday’s Brides Across America event. 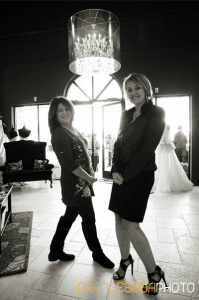 Couture Bride is located at 950 S. Durango Drive in Las Vegas, Nevada, and their bridal team eagerly awaits tomorrow’s occasion to serve military brides from the local Las Vegas and Henderson communities, Nellis Air Force Base and beyond. For military brides who would like more information, please contact Dawn Heaney and her team at Couture Bride by phone at 702-647-7778.